BLUE: Star Berries - July is National Blueberry Month! Blueberries are in and you better get them while they are peak!!! These luscious little orbs are full of sweet flavor, vitamins, antioxidants and beneficial phytochemicals. One of the few fruits native to North America and one of the few true blue foods in existence, these berries are to be respected and enjoyed. Fresh, dried, frozen, juice, you name it these berries can do it. Many a year ago the Native Americans utilized just about every part of the blueberry bush, which they also called “star berries” for the five-pointed star that forms on the calyx of the berry. From making tea with the leaves, using the juice to treat coughs as well as a dye for fabrics, and of course the berries in every form and dish they could put them in. And we can thank the Native Americans for teaching the early European settlers how to cultivate this crop (as well as pretty much all the others!) so that we can still enjoy these killer little guys today! 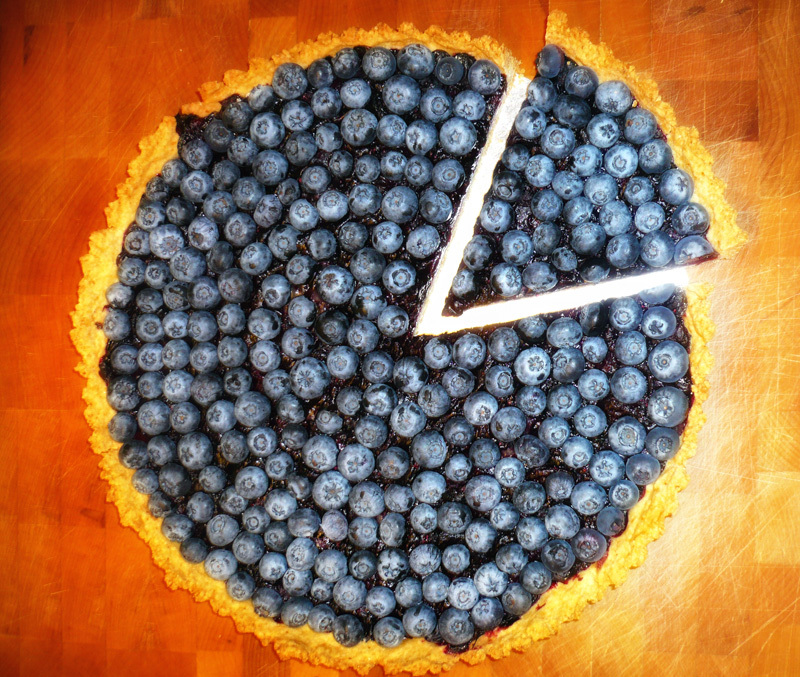 Try some local blueberries out in this beautiful tart… I know they are available from a few different farms thanks to all the rain! In a food processor combine the flour, salt, sugar, and lemon zest. Pulse until combined. Add the butter and pulse until the mixture resembles coarse crumbs. With the machine running pour in the egg. If the dough sticks together when pinched it is done, if not add ice water, a little at a time, to make it so. Press this dough into an 11-inch fluted tart pan with a removable bottom and put in the fridge while you make the filling. Heat your oven to 425°F. Toss 2 ½ cups of the berries with the cornstarch and sprinkle on the lemon juice. Spread these berries evenly into the chilled crust then drizzle the honey evenly over them. Put the tart pan on a sheet pan to catch any drippings and cook for 15 minutes, turn down the heat to 350°F and cook for an additional 30 minutes or until the pastry is golden. Remove from the oven and cool slightly on a rack. While the filling is still warm top with remaining 2 ½ cups of berries, star side up. Work from the outside edge and work your way in. If you don’t have the patience for this you can just evenly spread the other berries on top, I am a food stylist you know so I like pretty food!!! Serve at room temp. You can top with some powdered sugar or fresh whipped cream. 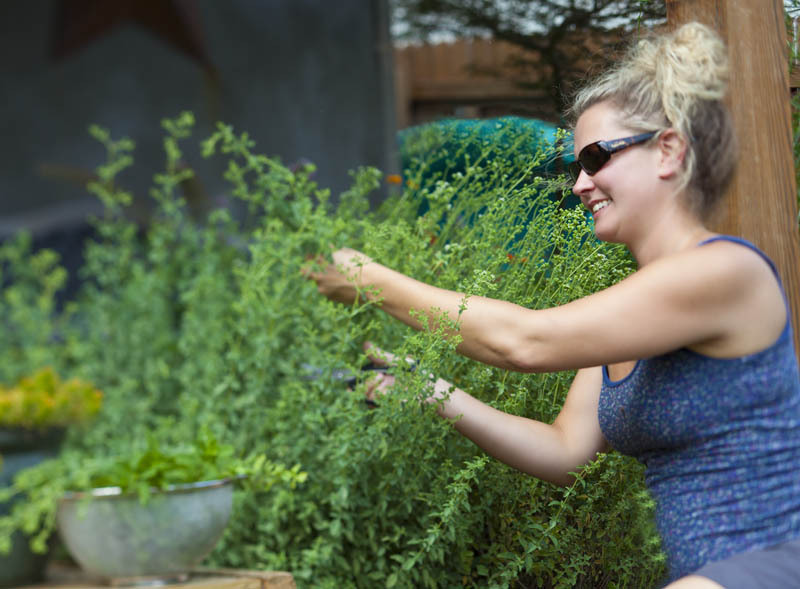 Our herb garden is going nuts right now and we have to constantly trim it back, so instead of wasting the trimmings I have been drying the herbs. I am so excited about this because I can stock my own spice cabinet! Not only is this cool because it is sooooooooo much cheaper than buying them but you know where they are coming from, know exactly what is in them, and how old they are. In addition they are remarkably more pungent than store bought. Drying herbs really is very simple. Depending on your time frame there are several different ways to achieve some homemade dried herbs. They will keep up to a year but obviously will diminish in flavor as they age. They also make a great gift. Stored in a 4-ounce ball jar with a ribbon and a label, voila! You could even do herb/spice mixes. 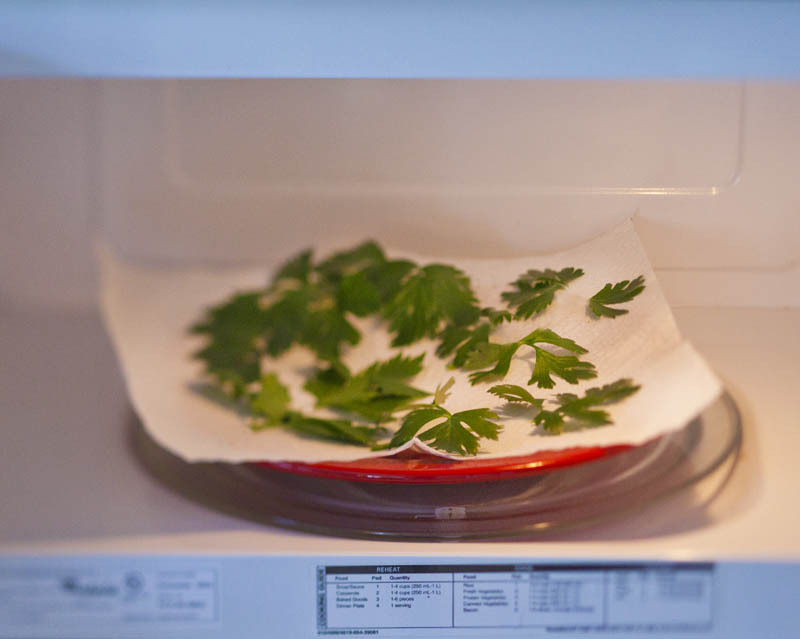 Moist, tender herbs like mint, basil, lemon balm and tarragon need to dry quick to prevent mold so the oven or microwave method is best. 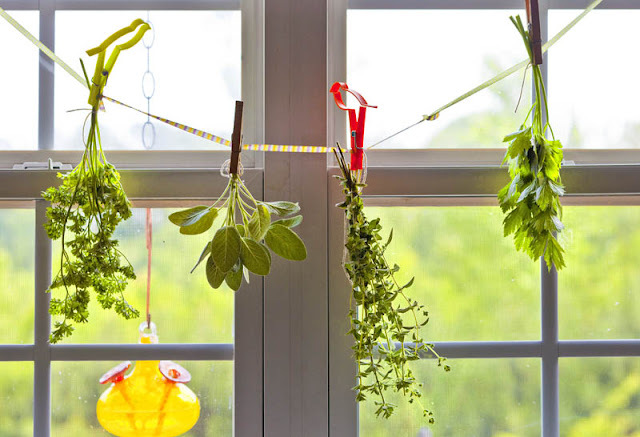 Air drying preserves the natural oils, so sturdy herbs like oregano, rosemary and sage are great for hanging. HANG Drying: This procedure takes the longest but can make a pretty decoration in your kitchen window! 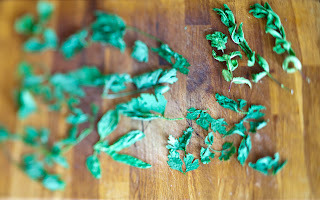 Just wash and thoroughly dry a few stems of chosen herb. Then tie together with butcher’s twine and hang on a string in a cool, dry place…in 1-3 weeks you will have beautiful, fresh dried herbs. 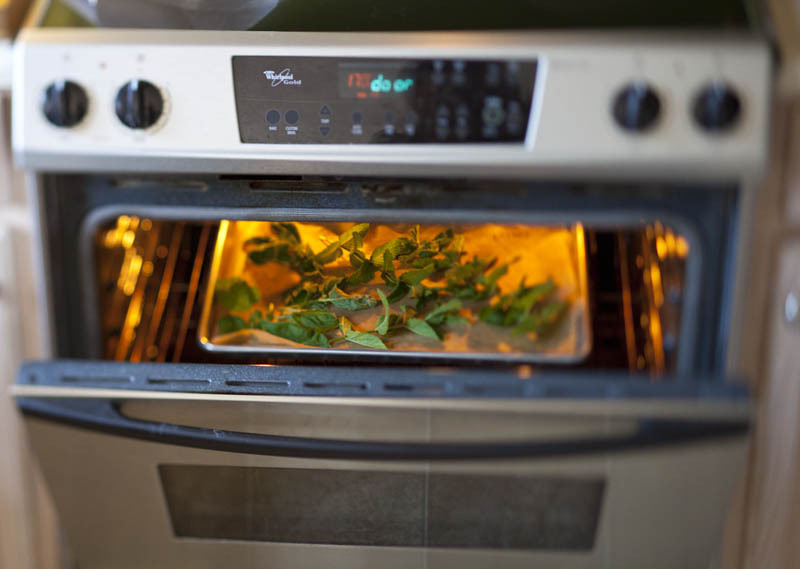 In the OVEN: Heat your oven to the lowest setting. If you have gas, having the light on and the pilot light might work. Place a layer of cheesecloth or a dry tea towel in a sheet pan (so no reaction with the pan). 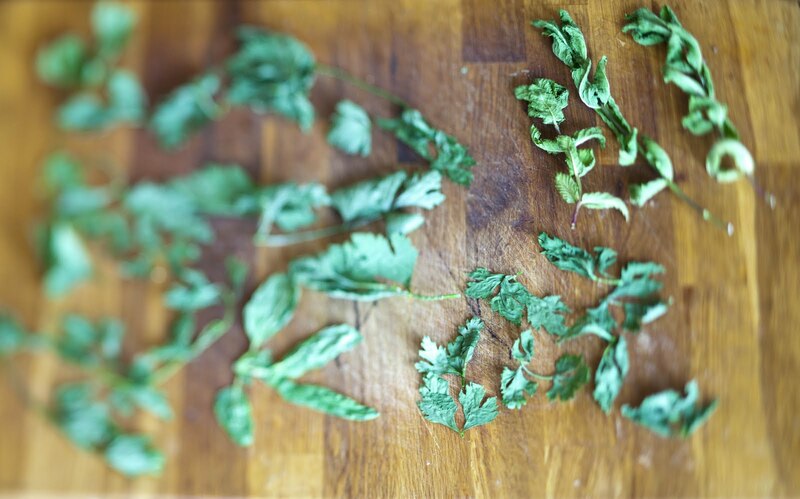 Wash and thoroughly dry your stems of herbs and lay in a single layer on top of the cheesecloth or towel. 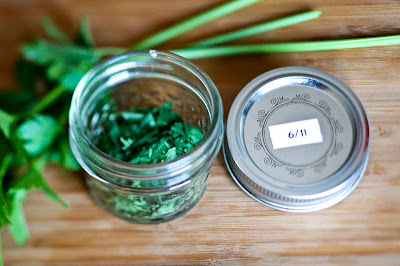 With the door ajar, allow to dry for 2-6 hours (depending on the herb). In the MICROWAVE: This way is by far the fastest and more energy efficient than the oven method but it may take some experimenting, as each microwave is different! In my microwave the method that worked the best was picking the leaves off the stems (don’t put the stems in the microwave! Trust me!!!) laying them out in a single layer and rolling them up into a log using paper towels or a clean, dry tea towel. Place them in micro on 50% power and let it rip for 30 seconds and check them. Most of mine took about 45 seconds on 50% power but again every microwave is different and different herbs might require different times. You could add good salts to these as well, or even dried lemon or lime zest…get creative, make up your own, make it spicy with crushed red pepper, or add sesame seeds to it, the possibilities are endless!!! 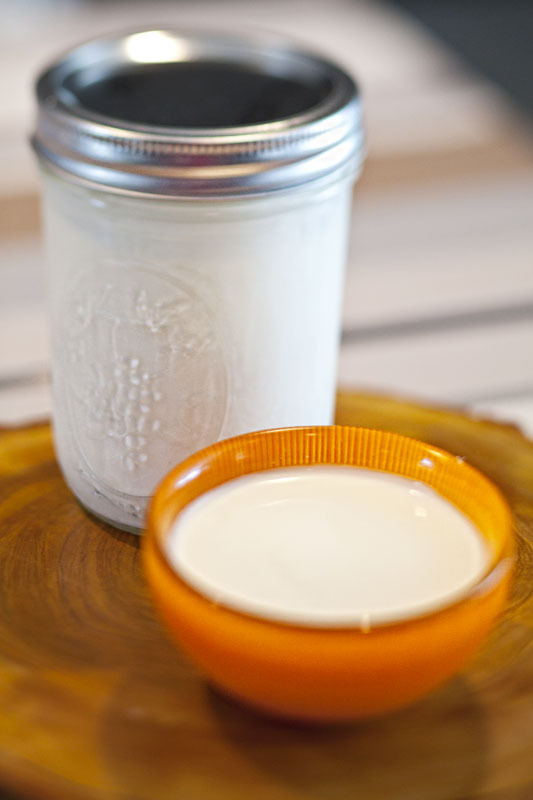 Crème Fraiche is a thickened cream that is achieved by adding buttermilk or sour cream to heavy whipping cream and allowing it to sit at room temperature overnight. It is super easy to make (and much cheaper than buying) and a great addition to a lot of dishes! It can be used as you would sour cream but can also be used in sweet dishes as well as it is tangy and has a pleasant nutty flavor. You can stir fresh herbs into it for a nice sauce for fish, dollop it on lentil soup, add it to scrambled eggs, or risotto…I could go on and on, I personally just like it by the spoonful, I’m bad, I know! Gently heat the cream and buttermilk to between 85°-105°, but not over! Be careful, this happens quickly. Do it on your stove top on lowest heat you can and don’t walk away. Pour into a glass jar and allow to thicken overnight at room temperature, between 68°-72°. The next day, stir it and place in the refrigerator for 1 more day to thicken some more then it is ready to use. It will keep for up to 2 weeks but probably won’t last that long!!! In the bowl of a food processor pulse together the flour, baking powder, baking soda, salt and sugar. Add the butter and pulse until crumbs are formed. Transfer to a large bowl and stir in the buttermilk just until combined. Turn out onto a floured surface and pat the dough into about ¾-1 inch thickness. Using a 2-3 inch cutter cut the biscuits out as close as you can to each other to minimize scraps. Gather up scraps and pat together and cut again. Place the biscuits on a sheet pan so that they are touching each other. Bake for about 20 minutes or until lightly golden brown on top. Allow to cool slightly then serve warm…with fresh strawberries and crème fraiche maybe??? Buttermilk Pie: you don’t hardly ever see this anywhere…I am gonna make one---RECIPE TO COME!!! Marinate chicken for a few hours then grill. PORK U: HAPPY FATHER’S DAY! 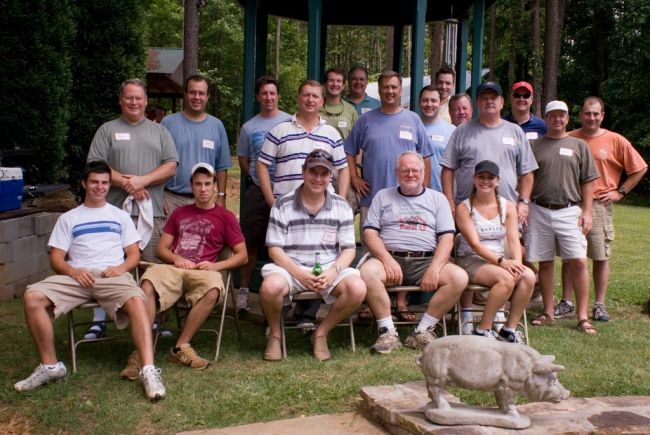 Father’s Day is upon us and is a time that we should stop and appreciate the Dads! I am not sure about you but I know that I was not an easy kid to raise, so I feel like I should say “thank you” to my dad as well. It is a time to let them know how much we care about them and I can’t think of a better way (I know what you are thinking--- “here she goes again”) than with FOOD. I will continue this statement that FOOD brings people together, on so many levels and in so many different ways, all usually good. One of my best food memories is with my dad. He loves to grill and he also loves to smoke, meat that is. My friend Dave Roberts, owner of Community Q in Decatur, was, at the time, working with Sam Huff at a bbq joint out in Marietta called BBQ-1. I went in to pick up some bbq one day and was telling Dave how much my parents loved their place and he told me about Pork U, a BBQ class that Sam Huff teaches a few times a year at his house. I thought, “Perfect gift for my dad!” So I registered my dad and Dave said, “Why do you do it too?” Hello---even better! I could learn a few things about bbq, hang with my dad, and of course, eat!!! It starts out at 8 am with Bloody Marys (yesssss) and a huge breakfast of egg strata, gravy, biscuits, and sausage cooked in footed Dutch ovens with coals on top and around the bottom (there is a whole method to this…super cool). Then on to the meat, baby back ribs, St. Louis style ribs, beer can chickens, pork butts, briskets, wings. Lessons on slow cooking, preparation, rubs, sauces, mops, side dishes, and desserts were all included. We ate lunch, had snacks, beers, and conversations. Then around 6, we ate the fruits of our Pork U labors. My kind of day, eat, eat, eat, and talk about what we are eating, then what we are gonna eat next! It was awesome, Sam had a great place, sweet smoker collection, and of course a ton of info to share. Not only was I the only girl, I think I was the only nerd there taking copious amounts of notes! We learned, we laughed, and we ate. It was great. What I am getting at here is share some time with your dad. It is more valuable than any gift you could ever, ever buy. Take a class with your dad, try out a new recipe, check out a new restaurant…not just for Father’s Day, ANY day. It’s fun! If you have a garden and are growing cucumbers you know that soon you will be buried in them. Aside from putting them in salads or dipping them in hummus or making pickles there are some other refreshing ways to use them. Here is my recipe for Tzatziki, a Greek style sauce that can be used as a dip as well. We served it on a sandwich made with Riverview Farms Greek Meatballs (they are now selling premade meatballs, I picked up the Greek ones but I have heard that the Thai Lemongrass ones are incredible too! 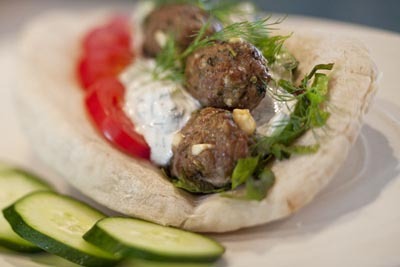 ), Holeman and Finch Fresh Pita, with some fresh tomato and homegrown lettuce all topped with our Tzatziki! Yummy cucumbers! All ingredients purchased on the Farm Mobile! 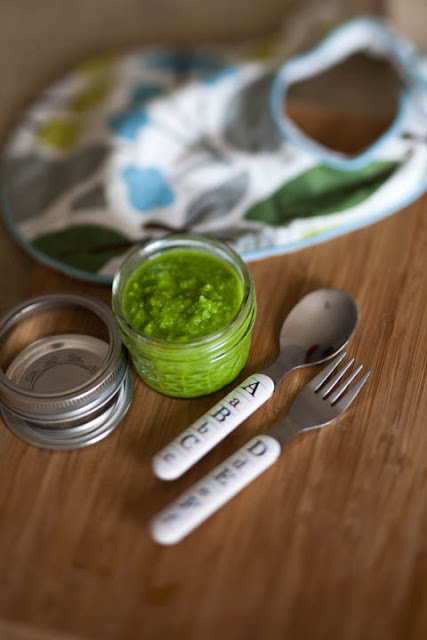 Making baby food is super simple and so much better for your baby than store bought. I know, we are all busy and don’t have time for it but if you start with a few things at a time soon you can have a freezer full of healthy, safe baby food. Here is my recipe for Fresh Peas but you can also use sugar snap if you can’t find fresh peas, or even green beans cut into pieces and cooked a little bit longer. When you see the end product vs. the jar store bought kind you will know why kids don’t like peas…they haven’t had the real thing! Green Beans: place beans in a steamer basket in a pot with just enough water to reach the bottom of the steamer. Steam with the lid on for 10-12 minutes or until the beans are tender when pierced with a fork. Reserve the cooking liquid. Run under cold water to stop the cooking and to cool before processing. Peas: place peas in a steamer basket in a pot with just enough water to reach the bottom of the basket. Cover and steam for 3-4 minutes or until the peas are tender but still bright green. Reserve cooking liquid. Run under cool water to stop the cooking. Green Beans: place beans in a microwave safe glass dish with a lid and add a small amount of water to bottom of pan. Cook on high for 3 minutes, stir, recover and cook for 3 minutes more or until beans are tender. Reserve cooking liquid. Run under cold water to stop the cooking. Peas: place peas in a microwave safe glass dish with a lid and add a small amount of water to bottom of pan. Cook on high for 1 minute, stir, recover and cook for 1-2 minutes more or until peas are tender. Reserve cooking liquid. Run under cold water to stop the cooking. Process cooked beans or peas in a food processor or blender adding reserved cooking liquid to achieve desired consistency. For a smoother texture after processing push the beans or peas through a fine mesh sieve or squeeze through several layers of cheesecloth. Fun Add Ins: Getting your baby to eat green veggies can sometimes be a challenge, try adding in a fruit such as pureed apples or pears or even mashed banana. Storage: Allow cooked vegetables to cool before pureeing and then again to room temperature (not exceeding 2 hours) before storing. Store in 4 oz. canning jars filled to 1 inch below the rim of the jar. This is called the “headspace” and allows room for expansion in the freezer. Freeze in 2-4 oz. portions. Thaw: in refrigerator over night. If you must quick thaw do so in the microwave in the glass jar on half power in 10-20 second intervals. Always check the temperature of your baby’s food before serving. You can thin out consistency with expressed breast milk or formula. Serve: Use a clean spoon to dish out portions of food form the storage jar. Never refreeze a thawed food. Only thaw and heat what you intend on using. 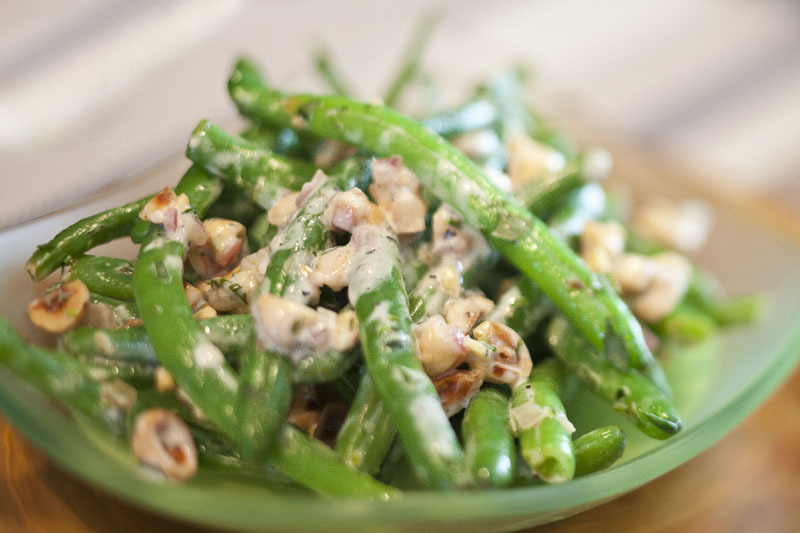 Green Bean Fact: green beans contain good source of vitamins A & C and are virtually sodium free. Pea Fact: are actually legumes and also contain great sources of vitamins A& C and also contain folate.